Is there a way to prevent water damage? Yes, Periodical cleaning of the aerator on faucets will free up water flow and reduce clogs. Turning on and off water shut off valves under the sinks every 6 months prevents oxidation build up. Are chemical drain cleaners safe for my pipes and health? Drain cleaners will not harm your pipes when used periodically. Remember to read the safety instruction located on the label and wear protective clothing covering your eyes and skin. What is the proper way to clean and maintain my dishwasher? Always clean out the food trap and use a specific dishwasher cleaner that rinses out old water. 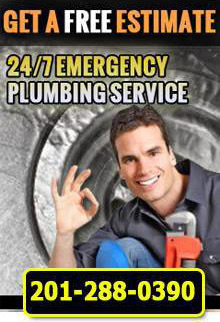 If I encounter a plumbing emergency, what would be the first step? Always know where the shut-off valves are on every faucet and know where the main water feed to your house is located. For example, if the problem is in the kitchen sink, turn the valve off under the sink to stop water flow. After you shutoff the water, contact us immediately. How do I improve the water pressure in my house? Besides clearing out aerators and shower heads, make sure the shut-off valves are fully opened. Sometimes faucets may need repair or replacement parts to function efficiently. Will proper water maintenance help me reduce my water bill? Yes! Leaks, damaged faucets and clogged pipes will waste more energy and damage your house than properly maintained ones.